// Crafty Cruella. Guest Designer. Hi Kelly here! of the blog Crafty Cruella. 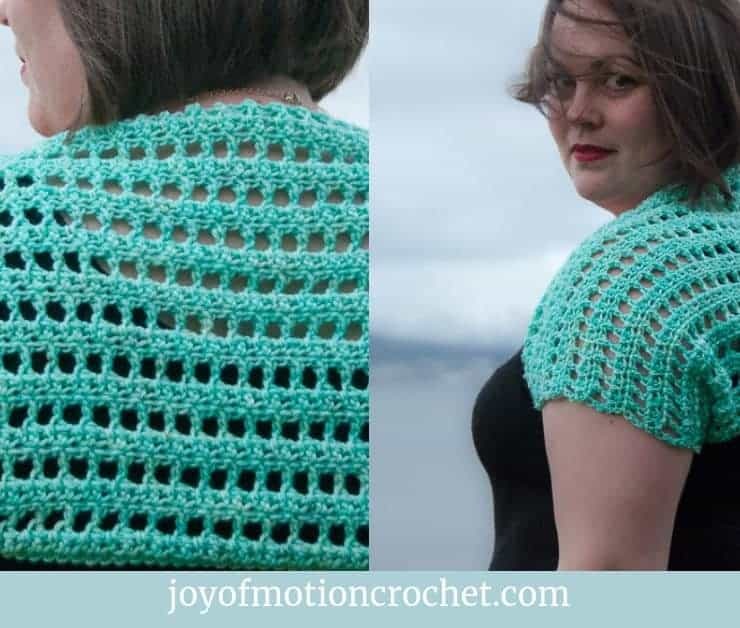 I have been given the fantastic opportunity of featuring as a guest designer on Joy of Motion Crochet, thank you Janne! 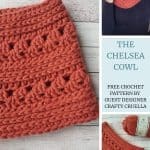 Let’s talk about my design, The Chelsea Cowl! 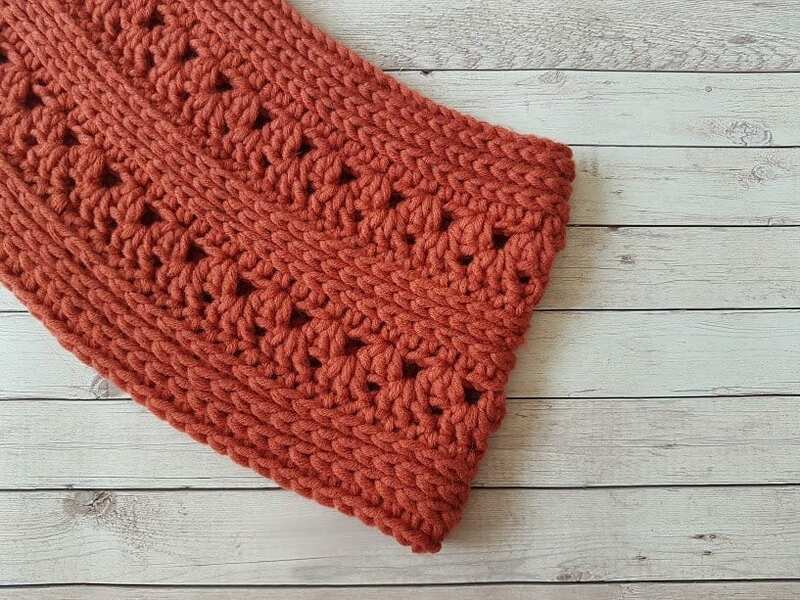 It’s a beginner friendly, super snug cowl scarf, I can’t wait to share this design with you all. 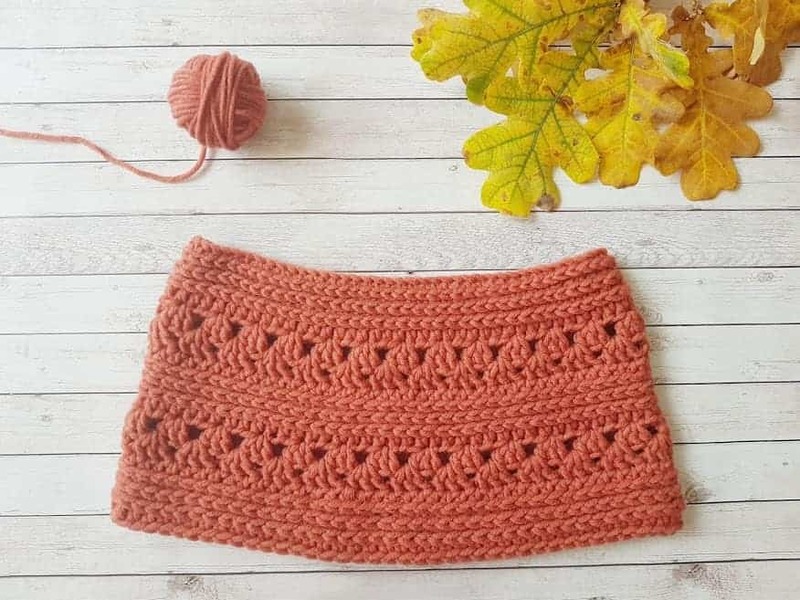 The Chelsea Cowl is the perfect autumnal accessory to add to your wardrobe, that is super quick and easy to work up. 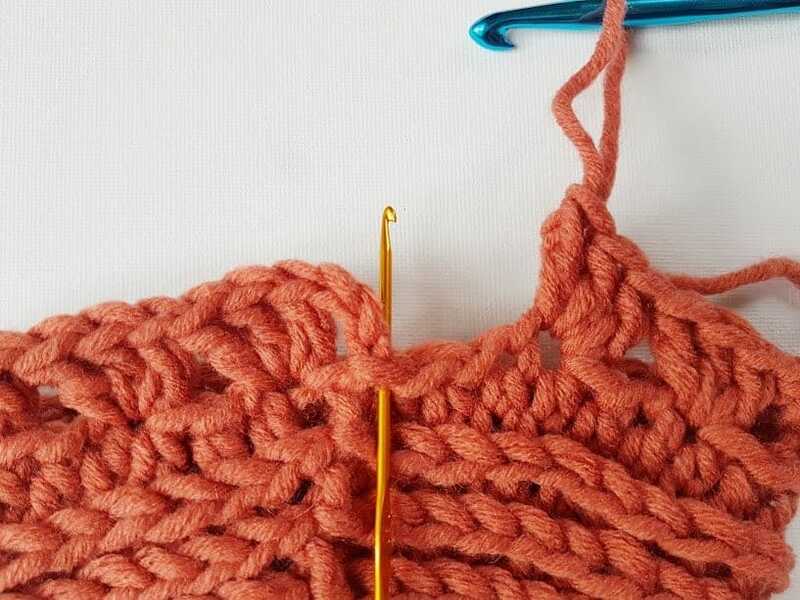 Only two stitches are used throughout, the half double crochet and also double crochet, so it really is an easy project suitable for a beginner. 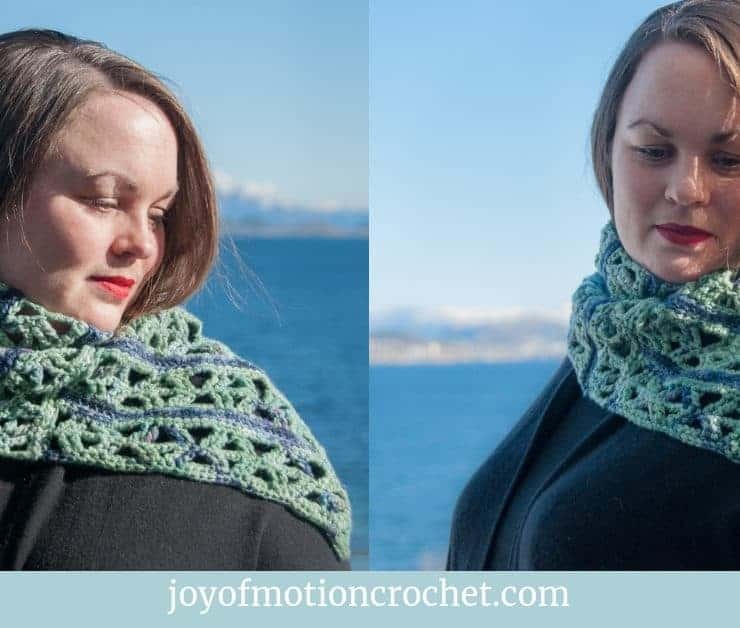 Since you like the Chelsea Cowl, these might interest you too? 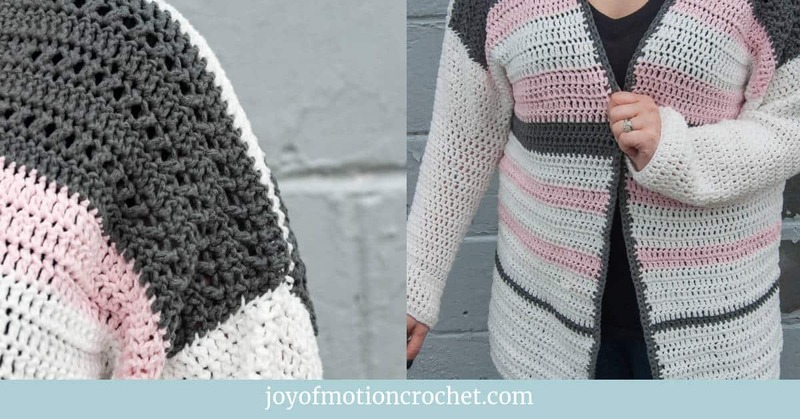 Well, Joy of Motion Crochet developed a yarn calculator to help you get the answer to this question. 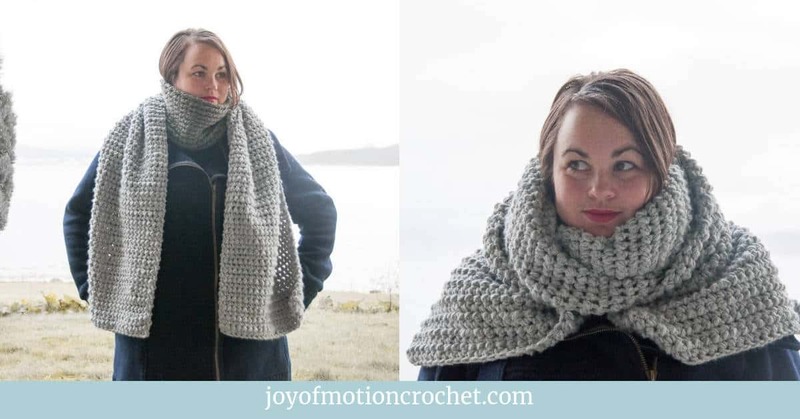 The Chelsea Cowl is a warm snug cowl scarf, perfect for the colder months. 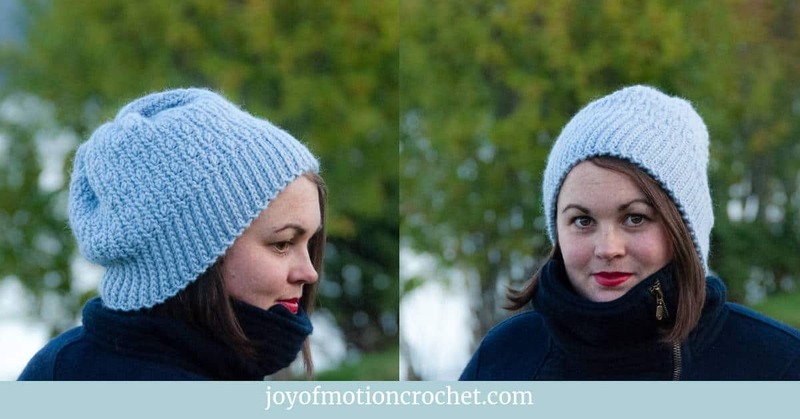 Made in a chunky weight yarn, means it works up really quickly, in approximately 2 hours. 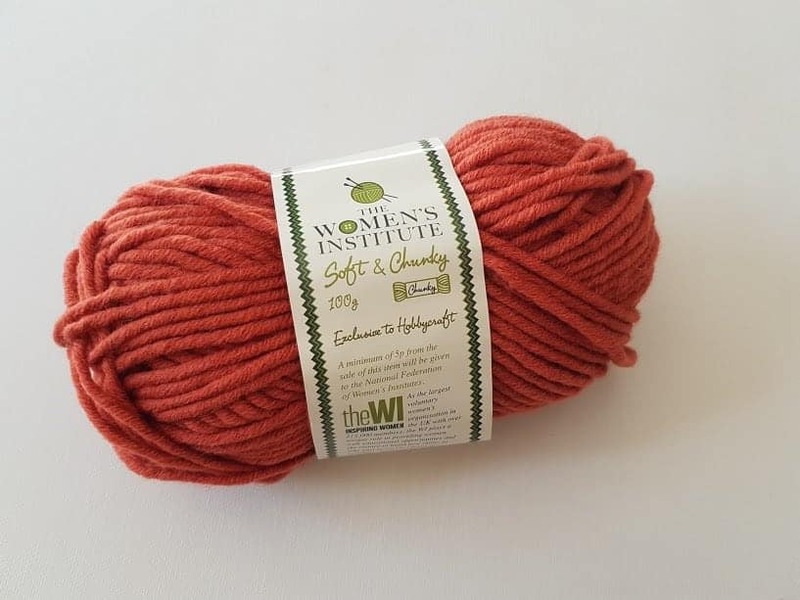 Womens Institute – Soft and Chunky, colour – Masarla. 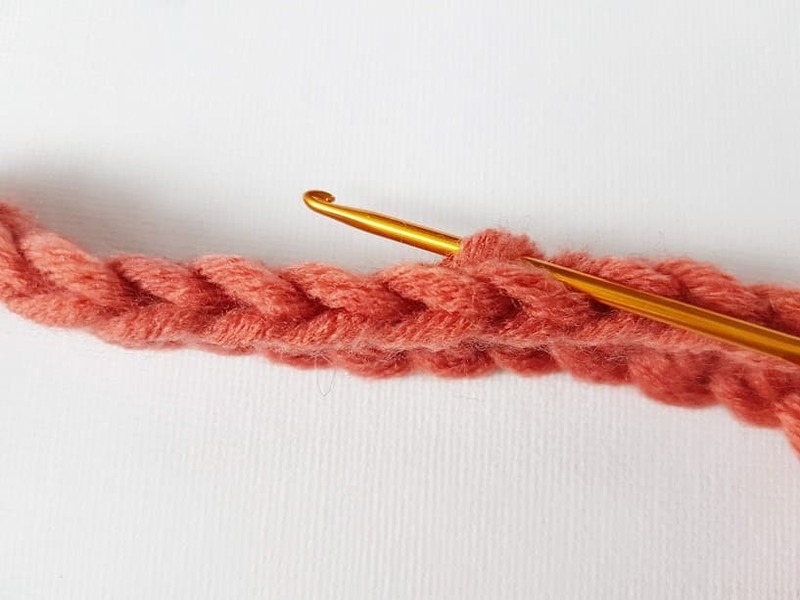 12 stitches & 9 rows per 10 cm / 4”. 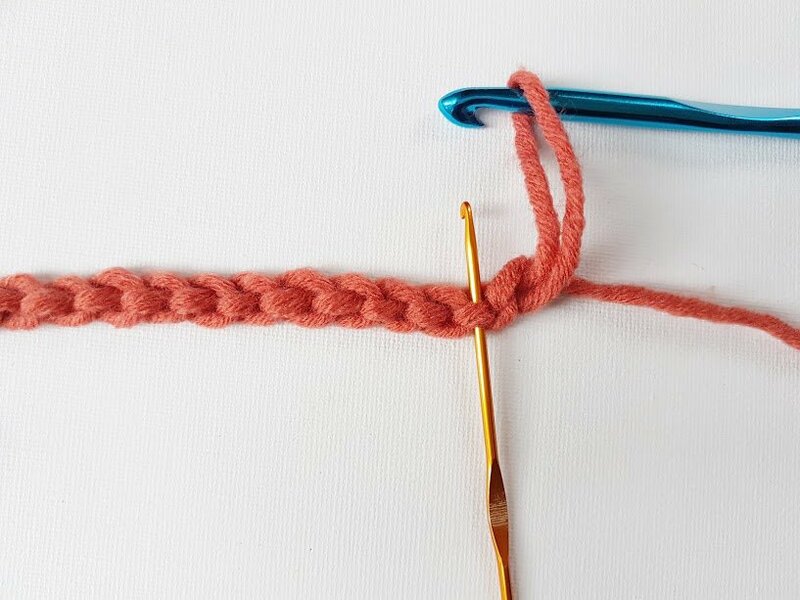 Some of the half double crochets are worked into the 3rd loop of the stitch, which can be found on the back of your work, just under your top two normal working stitches. 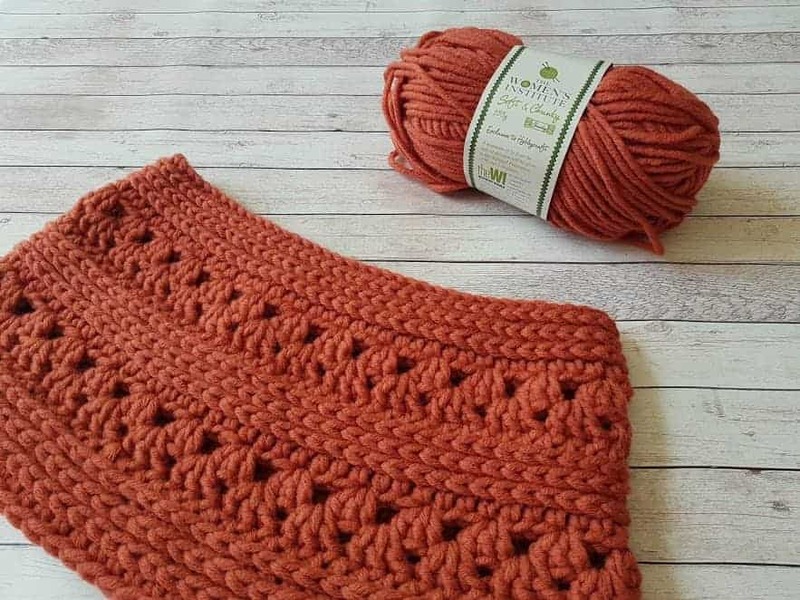 Fasten off & tie in those ends! No need to block this project, Yay! BY GUEST DESIGNER KELLY GROVES ~ CRAFTY CRUELLA! 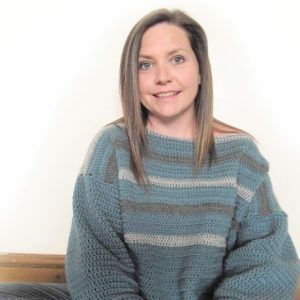 I’m a wife, a mum to three boys and a girl and I have a passion for crochet. 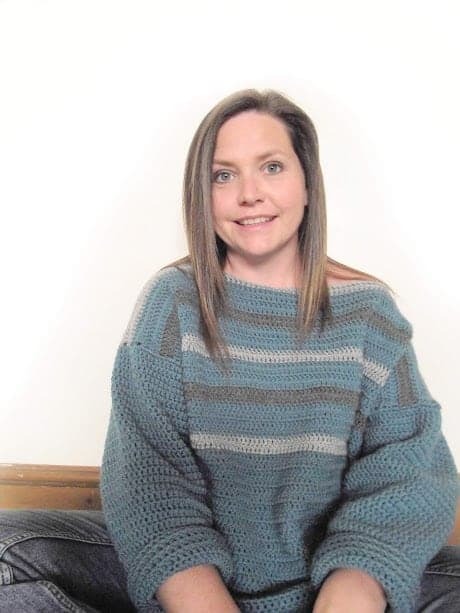 I’ve always tweaked crochet patterns to suit my needs, so designing my own patterns was a natural step to take. 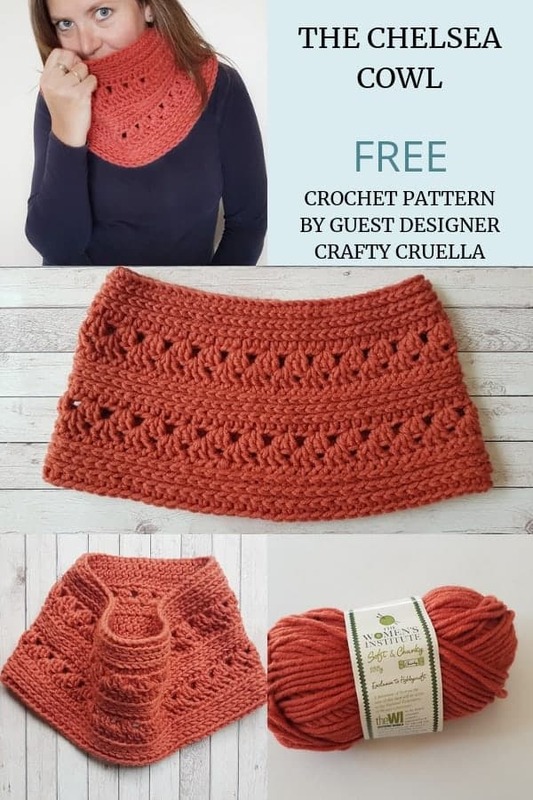 The dream of designing and sharing my ideas and designs became a reality in January 2018, when I started my blog Crafty Cruella. I can honestly say that I have loved every single step I’ve taken, to grow in this wonderful community. 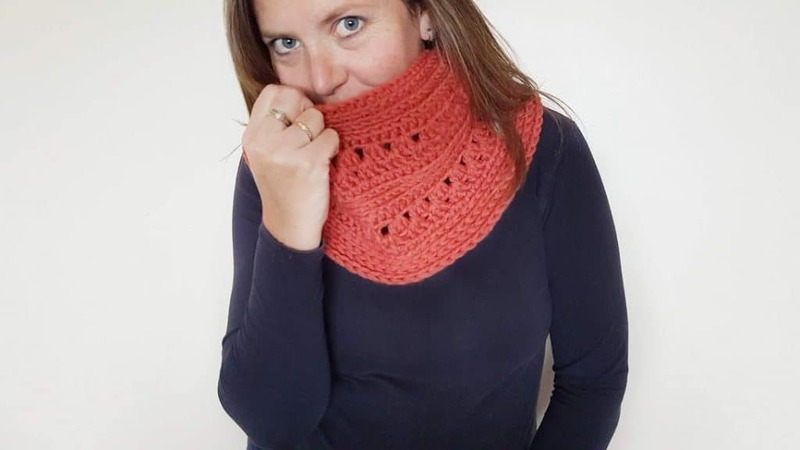 I really hope you liked the Chelsea Cowl! 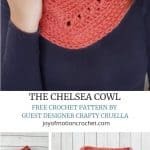 However, if you really like it, make sure to share the FREE pattern & share pictures of you’re Chelsea Cowl that you’ve made with me. 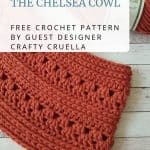 Tag me on Instagram: Take a picture of your project, #thechelseacowl and tag me @craftycruella. 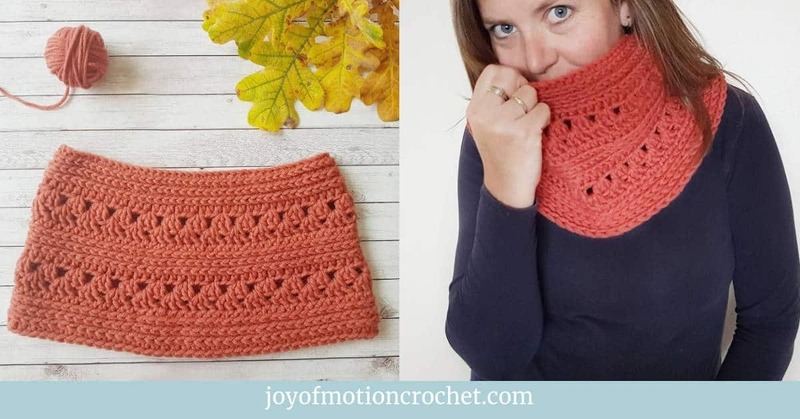 Thank you for sharing Joy of Motion Crochet’s FREE patterns & tutorials. When you do, you support the blog, which makes it possible to continue sharing free content with you.